Buy the RedBarn wall clock by KooKoo online. 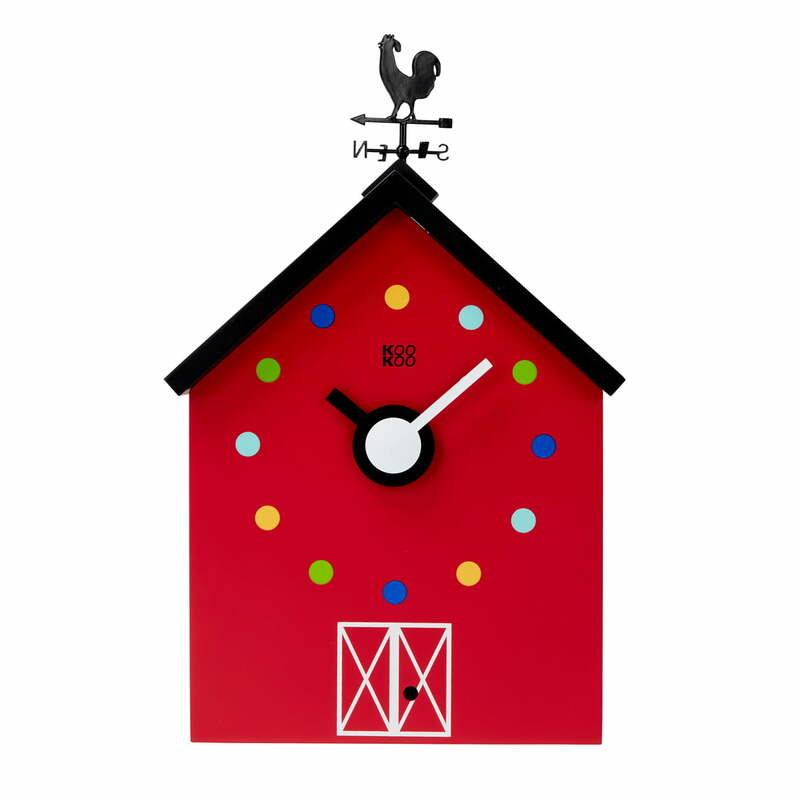 RedBarn is a colourful, modern cuckoo clock by Maia Ming for KooKoo that announces the time with various farm animals. To every child's delight, a bee, duck, donkey, frog, dog, rooster, cat, cow, horse, sheep, goat and pig announce the new hour with their call. Alternatively, only the rooster can be selected to cheerfully announce the time. A weathervane turns simultaneously with the animal call. A silent quartz movement without a second’s hand indicates the exact time. When it gets dark, a CDS light sensor prevents the animals from sounding to ensure everyone gets a good night’s sleep. The small farm consists of high-quality MDF wood and is available in two different sizes. 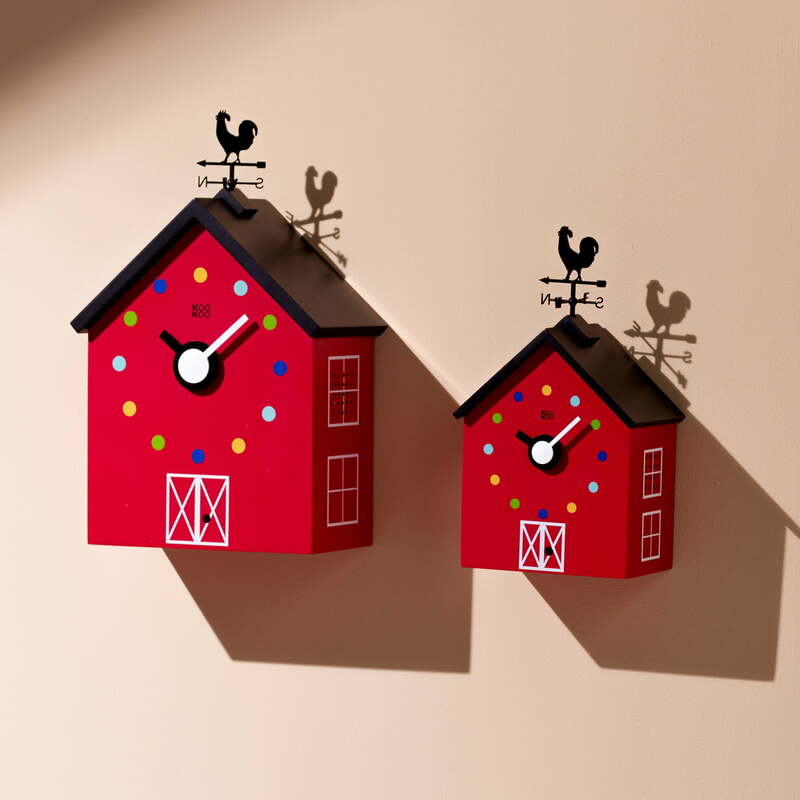 Isolated product image of the small KooKoo - RedBarn wall clock with farm animals When it gets dark, a CDS light sensor prevents the animals from sounding to ensure everyone gets a good night’s sleep. The KooKoo - RedBarn wall clock farm animals in large and small. 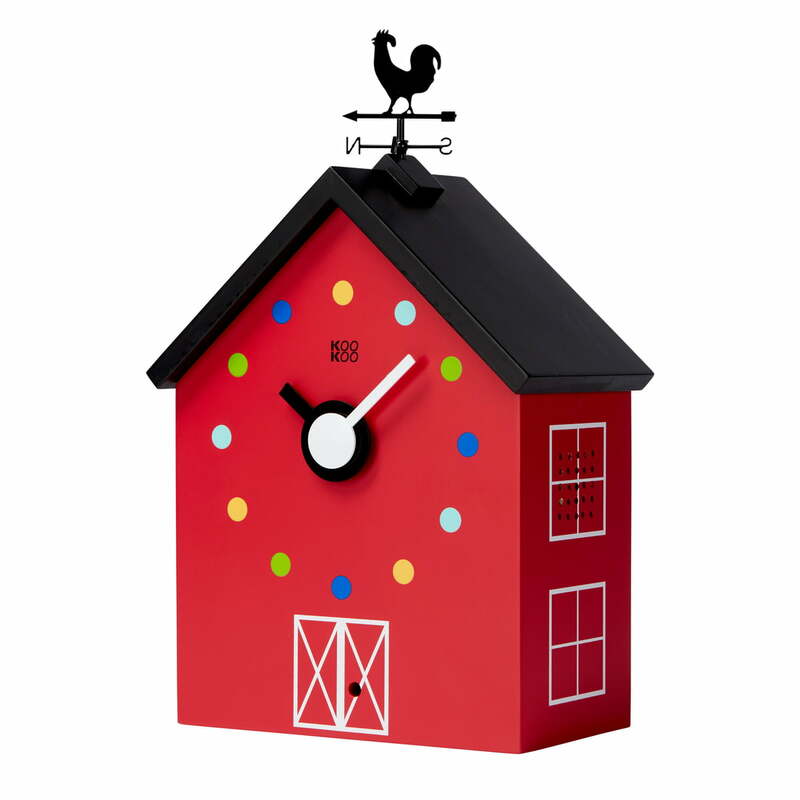 The KooKoo - RedBarn wall clock with farm animals in large and small. The colourful, modern cuckoo clock by KooKoo is available in two different sizes. Isolated product image of the large KooKoo - RedBarn wall clock with farm animals RedBarn is a colourful, modern cuckoo clock by Maia Ming for KooKoo that announces the time with various farm animals. 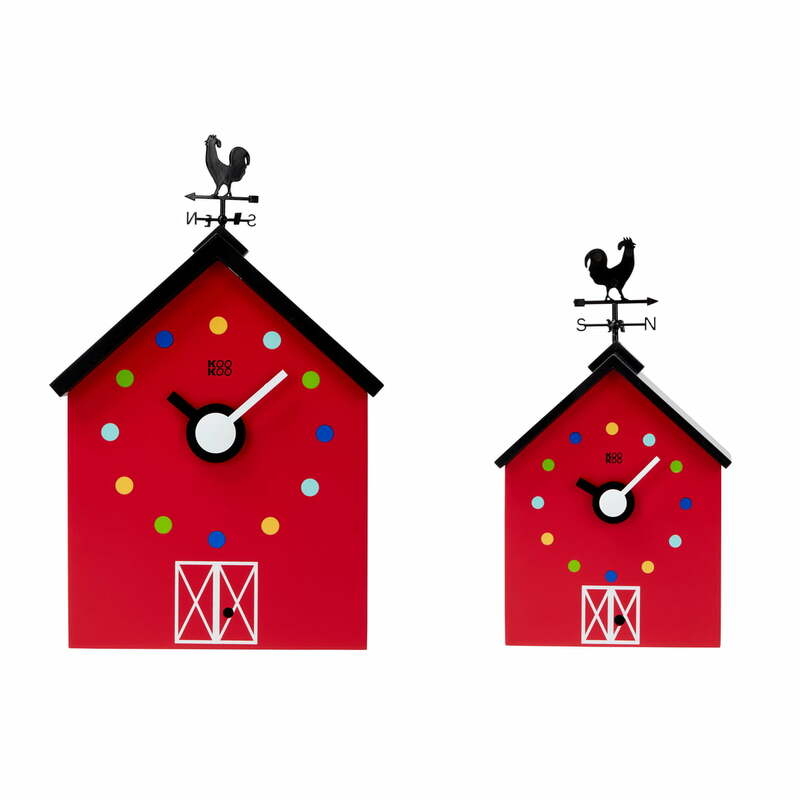 Isolated product image of the large KooKoo - RedBarn wall clock with farm animals To every child’s delight, the animals on the farm announce the new hour with their calls. 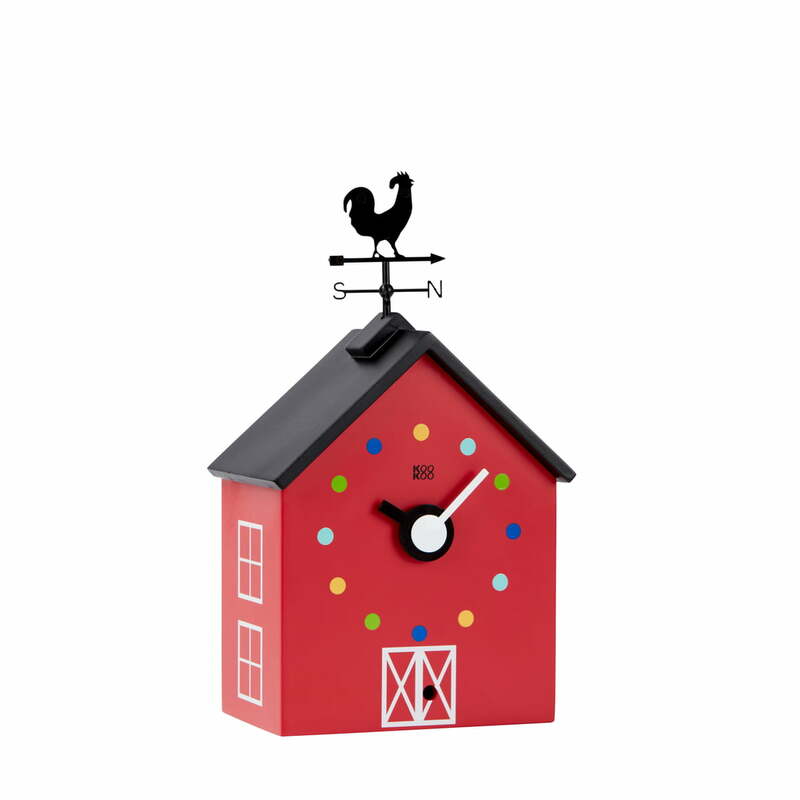 Isolated product image of the small KooKoo - RedBarn wall clock with farm animals Alternatively, only the rooster can be selected to cheerfully announce the time. A weathervane turns simultaneously with the animal call. 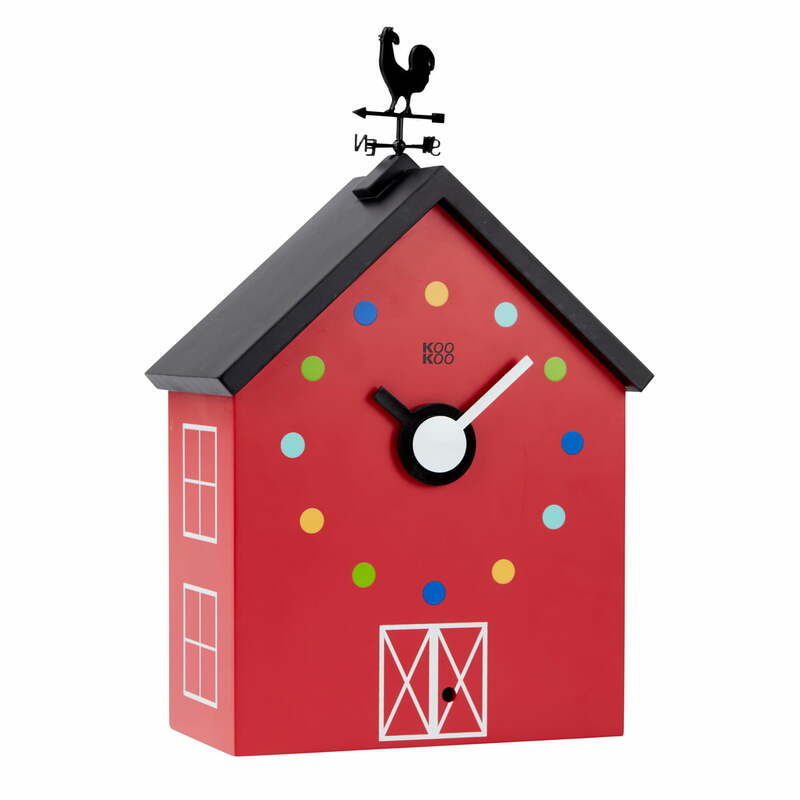 The KooKoo - RedBarn wall clock with farm animals in large and small. The wall clock is lovingly produced by Maia Ming and is available in two different sizes.